Robert McCulloch had served for 28 years as St. Louis County's elected prosecutor. That long run ended this week when the veteran was upset by challenger Wesley Bell, a Ferguson councilman, in the Democratic primary. Despite his familiarity and massive fundraising, McCulloch is now facing retirement. The name recognition may have been one of his weaknesses. 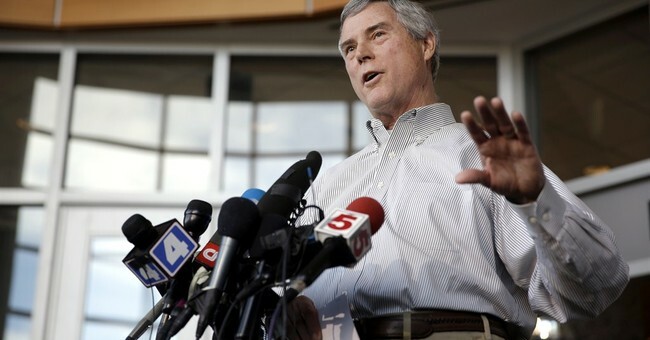 In 2014, McCulloch and his office received swift condemnation for failing to prosecute Officer Darren Wilson for shooting black teenager Michael Brown in August 2014. Wilson, who is white, claimed he shot Brown in self-defense. The grand jury agreed and he was acquitted. The community showed its outrage by rioting in the streets. They looted and torched local businesses. Police often resorted to tear gas to try and end the violent carnage. McCulloch, however, had no regrets for how he handled the case. Analysts suggest it had more than a little influence on this week's results. "I'm in total disbelief," St. Louis University political science professor Ken Warren said late Tuesday. Warren had predicted McCulloch would cruise to an eighth straight term, given his tenure. "Obviously Ferguson defined this election," Warren said. "Bell made his name through Ferguson, and (McCulloch) tarnished his name through his handling of Ferguson." Bell's mission to reform the criminal justice system resonated well with voters, his campaign explained. Bell, himself the son of a police officer, promised to end the cash bail system for nonviolent offenders. "I don't believe in campaign promises," Bell said. "I believe in promises. So when we say we are going to expand diversionary programs, it's going to happen. When we say we are going to reform the cash bail program, it's going to happen." Bell will run opposed in November.